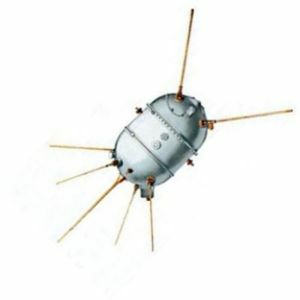 Ukrainian navigation technology satellite. Science, magnetosphere, artificial radiation in radiation belts satellite built by Yuzhnoye, Russia. Launched 1962 - 1965. Used DS Bus. Status: Operational 1962. First Launch: 1962-10-20. Last Launch: 1965-07-02. Number: 7 . Gross mass: 30 kg (66 lb). Carried military experiments to test communications and navigation equipment needed for command and control of Soviet nuclear forces (later used on the Uragan navigation satellites). Also conducted operational monitoring of cosmic rays, radiation from nuclear tests, and natural and artificially-produced radiation belts. Family: Navigation technology satellite, Technology. Country: Ukraine. Launch Vehicles: Kosmos 2, R-12, Kosmos 63S1. Launch Sites: Kapustin Yar, Kapustin Yar Mayak-2, Kapustin Yar LC86/1. Agency: MO, Yuzhnoye. Bibliography: 2, 6, 99, 12251, 12252. 1962 October 20 - . 04:00 GMT - . Launch Site: Kapustin Yar. Launch Complex: Kapustin Yar Mayak-2. LV Family: R-12. Launch Vehicle: Kosmos 63S1. Cosmos 11 - . Payload: DS-A1 s/n 1. Mass: 315 kg (694 lb). Nation: Russia. Agency: RVSN. Program: DS. Class: Technology. Type: Navigation technology satellite. Spacecraft Bus: DS. Spacecraft: DS-A1. Completed Operations Date: 1962-10-28 . Decay Date: 1964-05-18 . USAF Sat Cat: 441 . COSPAR: 1962-B-Theta-1. Apogee: 858 km (533 mi). Perigee: 240 km (140 mi). Inclination: 48.90 deg. Period: 95.60 min. Carried military experiments to test communications and navigation equipment needed for command and control of Soviet nuclear forces (later used on the Uragan navigation satellites). Also conducted operational monitoring of cosmic rays, radiation from nuclear tests, and natural and artifically-produced radiation belts. 1963 May 22 - . 03:00 GMT - . Launch Site: Kapustin Yar. Launch Complex: Kapustin Yar Mayak-2. LV Family: R-12. Launch Vehicle: Kosmos 63S1. Cosmos 17 - . Payload: DS-A1 s/n 2. Mass: 322 kg (709 lb). Nation: Russia. Agency: MO. Program: DS. Class: Technology. Type: Navigation technology satellite. Spacecraft Bus: DS. Spacecraft: DS-A1. Completed Operations Date: 1963-05-30 . Decay Date: 1965-06-02 . USAF Sat Cat: 580 . 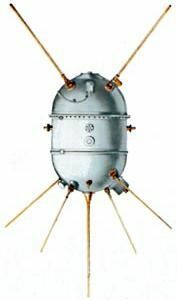 COSPAR: 1963-017A. Apogee: 658 km (408 mi). Perigee: 251 km (155 mi). Inclination: 48.90 deg. Period: 93.70 min. 1963 August 22 - . Launch Site: Kapustin Yar. Launch Complex: Kapustin Yar Mayak-2. LV Family: R-12. Launch Vehicle: Kosmos 63S1. FAILURE: First stage failed.. Failed Stage: 1. DS-A1 s/n 3 - . Payload: DS-A1. Mass: 30 kg (66 lb). Nation: Russia. Agency: RVSN. Program: DS. Class: Technology. Type: Navigation technology satellite. Spacecraft Bus: DS. Spacecraft: DS-A1. 1963 October 24 - . Launch Site: Kapustin Yar. Launch Complex: Kapustin Yar Mayak-2. LV Family: R-12. Launch Vehicle: Kosmos 63S1. FAILURE: Second stage failed 353 seconds after launch.. Failed Stage: 2. DS-A1 s/n 4 - . Payload: DS-A1. Mass: 30 kg (66 lb). Nation: Russia. Agency: RVSN. Program: DS. Class: Technology. Type: Navigation technology satellite. Spacecraft Bus: DS. Spacecraft: DS-A1. 1965 January 30 - . 09:36 GMT - . Launch Site: Kapustin Yar. Launch Complex: Kapustin Yar LC86/1. LV Family: R-12. Launch Vehicle: Kosmos 63S1. Cosmos 53 - . Payload: DS-A1 s/n 5. Mass: 310 kg (680 lb). Nation: Russia. Agency: MO. Program: DS. Class: Technology. Type: Navigation technology satellite. Spacecraft Bus: DS. Spacecraft: DS-A1. Completed Operations Date: 1965-02-09 . Decay Date: 1966-08-12 . USAF Sat Cat: 983 . COSPAR: 1965-006A. Apogee: 1,172 km (728 mi). Perigee: 221 km (137 mi). Inclination: 48.70 deg. Period: 98.70 min. 1965 February 20 - . Launch Site: Kapustin Yar. Launch Complex: Kapustin Yar LC86/1. LV Family: R-12. Launch Vehicle: Kosmos 63S1. FAILURE: First stage failed 64 seconds after launch.. Failed Stage: 1. DS-A1 s/n 6 - . Payload: DS-A1. Mass: 30 kg (66 lb). Nation: Russia. Agency: RVSN. Program: DS. Class: Technology. Type: Navigation technology satellite. Spacecraft Bus: DS. Spacecraft: DS-A1. 1965 July 2 - . 06:30 GMT - . Launch Site: Kapustin Yar. Launch Complex: Kapustin Yar LC86/1. LV Family: R-12. Launch Vehicle: Kosmos 63S1. Cosmos 70 - . Payload: DS-A1 s/n 7. Mass: 250 kg (550 lb). Nation: Russia. Agency: MO. Program: DS. Class: Technology. Type: Navigation technology satellite. Spacecraft Bus: DS. Spacecraft: DS-A1. Completed Operations Date: 1965-07-12 . Decay Date: 1966-12-18 . USAF Sat Cat: 1431 . COSPAR: 1965-052A. Apogee: 1,176 km (730 mi). Perigee: 223 km (138 mi). Inclination: 48.80 deg. Period: 98.80 min.